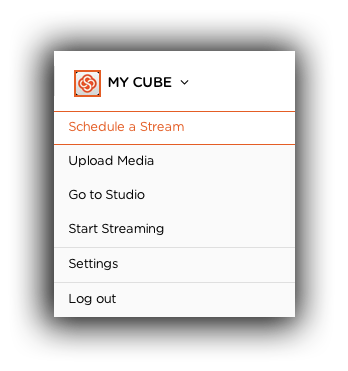 Use this tutorial to learn how to stream to The Cube (formerly High School Cube) using Switcher Studio. Login to your account. Click on the grey gear icon to the right of “MY CUBE” in the navigation menu at the top. Enter the details for your event, and click “Save and Continue”. If there's no need for a Scoreboard or broadcast crew members, click “Skip & Get Code>>”. Otherwise select a scoreboard, choose the sport, and then click “Continue & Get Code>>”. Copy your event URL and save it. Also copy your 7-digit event code. This code will be your STREAM value in your Switcher RTMP settings. Launch Switcher Studio, tap the “Outputs” icon, and create a new RTMP channel. 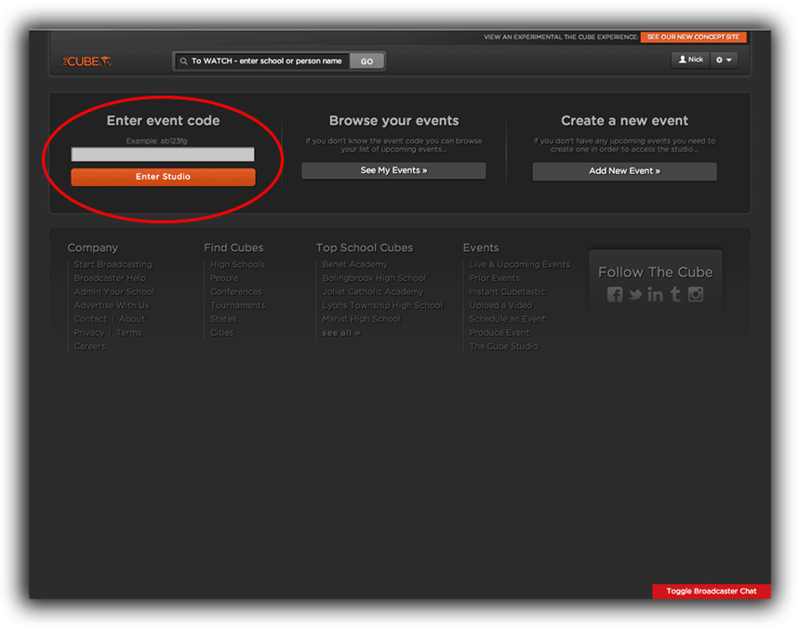 Enter your event code in the “STREAM” field. Select this channel and make sure “Streaming Video Platform” is checked in the outputs tab. Connect the cameras, and tap “Rec + Broadcast” to begin streaming. Go to the following URL: http://www.thecube.com/studio. Enter your Event Code and click “Enter Studio”. From the Broadcast Studio page, Click the “Produce Event” tab. Now, you can control the Scoreboard using the web interface, and Stream multi-camera video to The Cube using Switcher Studio. For future events, you can simply change the "STREAM" field in Switcher's RTMP settings to match your event code from the Cube. Or, you can set up multiple channels in Switcher Studio for recurring events.